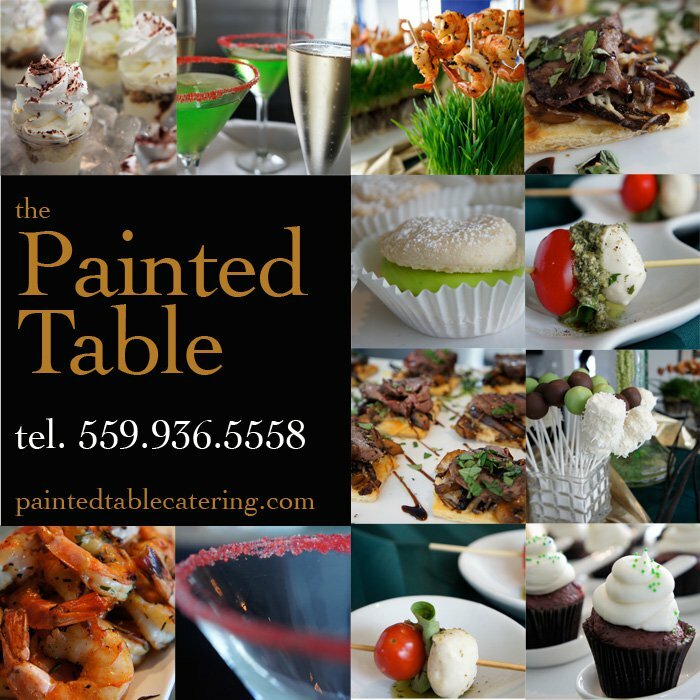 Since 2008, The Painted Table, has been creating unique and delicious food combinations for weddings, anniversaries, corporate gatherings and special occasions through out the Central Valley. Voted one of the top catering businesses in the Fresno area, co-owners and personal chef’s Rodney Hansen and Jeromie Garza have deep roots in the culture of the San Joaquin Valley. Rodney’s family were almond and grape farmers. Committed to their Danish traditions, they stopped every day and 10 a.m. and 3 p.m. to relax with family and enjoy coffee, tea, fresh squeezed juice and pastries. Rod’s family traditions helped him develop his passion for cooking using locally grown produce and ingredients. He attended the School of Culinary Arts at the Art Institute of Seattle where he earned a degree in both Pastry and Culinary Arts. After graduating, he worked at the Culinary Institute’s West Coast Campus, Greystone, in St. Helena, California. Rod also worked for the Sorrento Hotel in Seattle, Washington as well as for Dilettante Chocolate, as a pastry chef. While Jeromie also has a love for the culinary arts, his path to the catering business took a different route. He spent many years in the dental field developing his customer service and marketing skills. He met Rod through work and learned everything about Culinary Arts from him. With their combined skills the two decided to open Magical Cakes in Visalia. Then in 2008, Rod and Jeromie created The Painted Table. What started as a personal chef service, has quickly grown into a successful catering business. Clients have come to appreciate their signature dishes that are visually appealing and simply delicious. Rod says their attention to detail makes them stand out in the catering community. The Painted Table offers unique options to its client that can’t be found elsewhere. They will customize a menu to meet their client’s specific needs, using locally grown, fresh seasonal fruits and vegetables. Their table settings are so visually appealing, that it looks like a work of art – hence their name, The Painted Table. In June of 2011, The Painted Table moved into the restaurant formerly known as the Daily Planet, next to the historical Tower Theater. This new space, which can accommodate as many as 250 people, is perfect for cocktail parties, corporate gatherings or even intimate events. They can also partner with the Tower Theater to provide their clients with access to the theater for larger events such as weddings. Finally, as an added value for theater patrons, The Painted Table will be partnering with the Tower Theater for selected events, providing dinner and show packages. Although they moved to the beautifully restored Daily Planet, The Painted Table is mainly an off-site catering operation, traveling throughout the Central Valley and as far as Los Angeles or San Francisco to cater special events. occasion’s menu a delicious work of art. All clients are treated with the upmost respect and care. Consultations are set up at either the Daily Planet or the event location to go over menu options as well as secure the date. Once a client has secured their date and made their deposit, they can set up a menu tasting. If at all possible, they prefer to book events 6 months in advance, especially during the peak seasons during the holidays and summer, the earlier the better. Rod and Jeromie love what they do and it shows in the service they provide. In a few short years, they have quickly become the go to caterers for the client who wishes to create a memorable event for their guests, with amazing culinary creations that simply cannot be found with any other caterer. 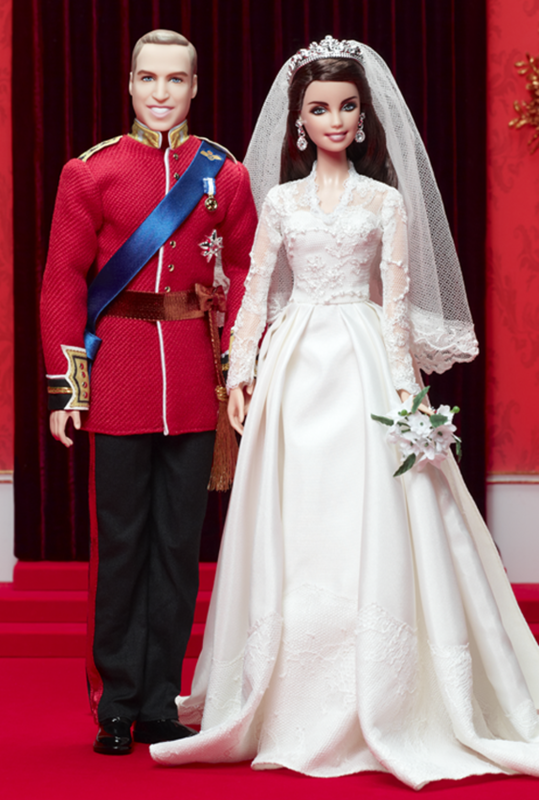 Just in time for the royal one year anniversary, Mattel will release a commemorative royal wedding Barbie doll of both Kate Middleton and Prince William, reports MSNBC. The dolls, which admittedly look more like Barbie and Ken than Catherine and William, have authentic outfits. Barbie Kate wears a floor-length, long-sleeved, ivory taffeta gown trimmed with lace and faux pearl buttons. It’s not exactly McQueen, but it’s a pretty close miniature version. Prince William’s look-alike doll of course is a red uniform decorated with a royal blush sash, metallic cummerbund and golden buttons. The dolls will be available for purchase in April, as a collector’s edition for $100 on BarbieCollector.com. 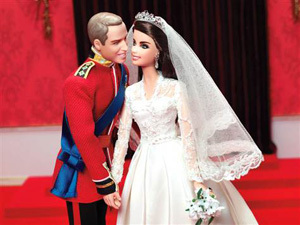 These aren’t the first royal wedding dolls, but they are the first dolls made by Mattel. Mattel also makes bride and groom replicas of Edward and Bella, from the Twilight series. Your anniversary is a special day to reaffirm your love, to say you’re glad you married each other and you’d do it all over again. Whether it’s your first or your fiftieth, the gift you choose celebrates the years you’ve spent as husband and wife and looks forward to many happy anniversaries to come. Each year together is a reason to celebrate. Through the years, choose gifts that say how much you still love each other. Consider starting a memory book. Each year, collect a few mementos of special times you have enjoyed together.